In a world where loyalty in romantic partnerships has become incredibly rare, Sandie was a dissident, embodying loyalty, respect, and love towards her husband, even years after he left her side. The Toronto-native is a veteran television journalist, reporter, and anchor for CTV National News, Canada’s most-watched news broadcast. She was the first woman in Canadian journalism who dared to walk shoulder to shoulder with men and thus, pave the path for future-women trying to break into journalism. 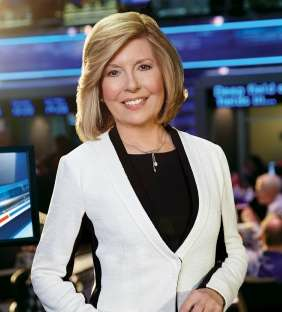 In addition to the vast net worth and salary she has amassed over the years, Sandie has garnered numerous awards for her 40 years in Canadian journalism, including RTDNA Lifetime Achievement Award. Being born on 16 January 1950 as Sandra Brycks, Sandie went on to study in University of York’s Fine Arts program in her hometown of Toronto and graduated with honors in Bachelor of Arts. Before she started her career in journalism, the veteran journalist appeared in television as a dancer in the CBC Youth Television series, Where It’s At at a young age. Later on, she went to become the first Canadian woman to anchor the newscast. Then she went on to anchor Canada National News for over 30 years and saw through its ascendency to Canada’s most-watched newscast. All the feats she was able to achieve, Sandie couldn’t have done so had it not been for her supportive husband, Michael Rinaldo. On her every stumble, he was there to balance her, and on her every sprint, he was there cheering her from the sideline. Due to the tragic nature of life, her husband died in 2005 after a long struggle against cancer. However, she remains loyal to him even today which is evidenced her frequent statements on how important he was to her success. What is even more significant evidence of her loyalty is that after about 13 years after the death of her husband, Sandie is still single and not willing to commit with anyone else. Her grief was lessened by their three children, all daughters; all of whom have grown into beautiful women—possibly as a headstrong as their mother. Plastic Surgery Rumors, Did Sandie Get One? The fact that at the age of 68 Sandie still looks quite fresh- like a young woman at the peak of her womanhood- gave rise to the rumors that she might have gone through plastic surgery. While plastic surgery has become very common, especially for the people on television, there is no concrete evidence that Sandie might have gotten one. To be honest, one can't think of Sandie going through a plastic surgery since she is already an established journalist and not actually looking for a husband. However, if she did get plastic surgery, it was probably to boost her morale, which must be a little down since her husband passed away. Sandie's relationship with her husband while he was alive, and her loyalty to him after he was dead, is a lesson for the rest of the world for a healthy relationship and having a rich and fruitful life.